Turkey’s economy grew 7.4 percent in 2017, compared with the previous year, the Turkish Statistical Institute (TurkStat) announced on Thursday. GDP at current prices climbed to over 3.1 trillion Turkish liras (nearly $850.7 billion) last year, up 19 percent from 2016, according to TurkStat. The total value added of services and industry rose by 10.7 percentand 9.2 percent, respectively, while the construction sector boasted a 8.9 percent rise. The agricultural sector enjoyed a 4.7 percent hike in2017, compared to 2016. 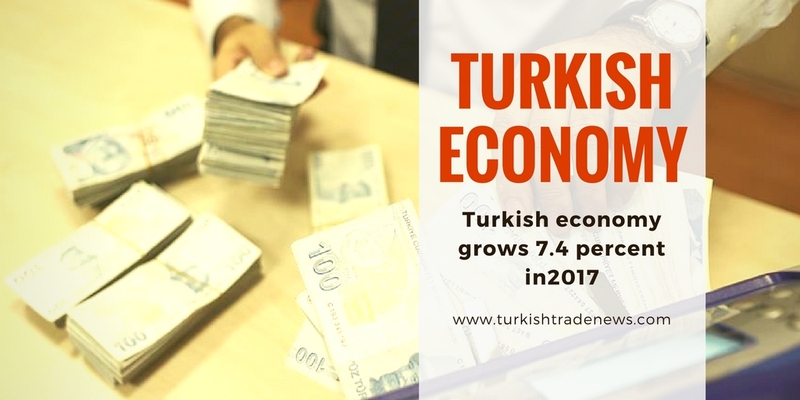 TurkStat also revealed that Turkish economic growth in the last quarter of 2017 reached 7.3 percent, compared with the same quarter of previous year. 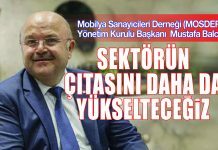 “Gross domestic product increased by 19 percent and reached 889.2 billion liras ($234 billion) at current prices,” it said. Anadolu Agency’s growth expectation on March 22 — as a result of a survey conducted by a group of 17 experts — was 7.3 percent for 2017 and 7.1 percent for the final quarter. According to the TurkStat revised data, the country’s economy grew 3.2 percent year-on-year in 2016. Turkey’s GDP was 2.6 trillion Turkish liras (around $863 billion) last year, up from 2.34 trillion Turkish liras (approximately $862 billion) in2015. The U.S. dollar/Turkish lira exchange rate was around 3.65 on average last year while one dollar was traded for 3.02 liras in 2016. The growth target for 2017 was 5.5 percent in the government’s medium-term program. Turkey became the fastest growing economy among G20 countries in 2017. The country’s economy grew almost three-fold of EU’s average — 2.4 percent. It also surpassed China’s 6.8 percent and India’s 6.4 percentlast year. Hatice Karahan, the senior economic advisor to the Turkish president, told Anadolu Agency that investments, robust domestic demand and boom in foreign trade in 2017 provided the figure come strong. Enver Erkan, an economist at GCM Menkul Kiymetler, also said the figure was in line with market expectations due to both government’s discourses and economic indicators. Echoing Karahan’s view, Erkan said the figure was supported by both strong domestic demand with the back of sectoral incentives and increase in public expenditures, which lead investments to rise. 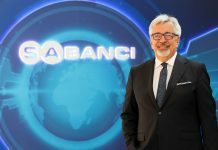 Sakir Turan, an economist at Odeabank, also stated that private and public sector expenditures and inventory changes supported the growth in the last quarter of 2017, albeit net foreign demand’s negative contribution to the data. “Both 2017 last quarter GDP results and early indicators for 2018 suggest a slight deceleration in growth momentum due to tight domestic financial conditions and declining marginal contribution from stimulus measures,” Turan said. He said in the upcoming period the slowdown would be limited thanks to the resiliencies in private consumption and investment expenditures in the second half of 2017. Turan added that he expects Turkey’s economic growth rate to be around 5.2 percent in 2018. Gedik Yatirim’s economist Erol Gurcan also highlighted that private consumption made the largest contribution to the growth while the path of investments continue to gain momentum though fixed capital investments, construction-intensives, and machinery-equipment investments. Gurcan stressed that the market’s estimation for the country’s economic growth for 2018 will take shape after government’s awaited incentive announcement. “The first readings of preliminary indicators, such as industrial production, shows momentum will be weaker without further boost infiscal policy, but this is not a threat to our estimate at this stage,” Gurcan said.